Sridevi is an example of beauty and talent, in fact she is one of the most versatile actresses in Bollywood today. Sri has done many iconic roles and there was a time when she was called lady Amitabh. She made a comeback to Bollywood with an epic movie like English Vinglish and was recently seen in Mom for which she was also nominated for the Best Actress Award at the Filmfare Awards. 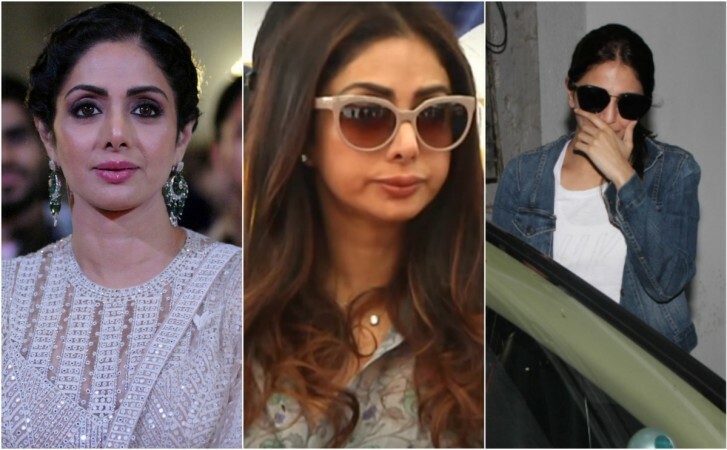 Sridevi was recently seen at Anurag Basu’s Saraswati Pooja where she looked strikingly different and her lips looked plumper than ever. Watch the Video! “It doesn’t work like that. Anything that is plastic melts in no time. You have to understand that there’s a regime for everything and you benefit by associating yourself with it. To look and feel good, you have to slog it out.” -she added further. But what we can say, we believe what we saw!